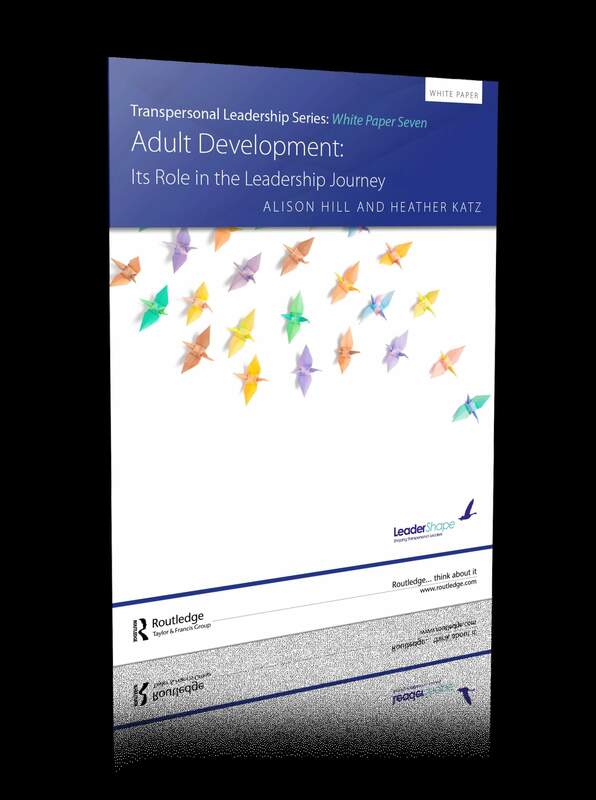 The seventh White Paper in the Transpersonal Leadership series explains how the development of the human adult influences leadership development. Download this essential White Paper and understand why learning where are on our adult development journey will help us understand both our own path towards transpersonal leadership and the development needs of those we lead. If ever our world needed true leaders who can lead in increasingly uncertain, complex and radically changing times, it is now. Leaders need to manage and lead through enormous complexity, while providing vision and assurance to their employees, stakeholders and shareholders. They need to understand themselves and their impact as well as understand their people, organisations and stakeholders, within both the local and global context. Alison Hill is a member of the LeaderShape Global Faculty and is a public health doctor, with degrees in medicine and in public health. She has been in senior board level leadership positions in the NHS for the last 30 years. She was managing director of Solutions For Public Health, providing a range of highly specialised public health evidence and intelligence services to clients across the UK. Latterly she was Public Health England's Deputy Chief Knowledge Officer. Alison is an experienced coach, mentor, medical appraiser, facilitator and trainer. See her full bio here: http://leadershapegloabl.com/alison-hill. Heather Katz is a member of the LeaderShape Global Faculty and is an Association for Coaching Accredited Professional executive coach, mentor and facilitator of executives, teams and peer groups. Heather brings to her practice a unique blend of 15 years executive coaching and leadership development experience in the UK and internationally; 19 years' business experience with IBM in South Africa and 10 years' education, training and practice as a Licensed Clinical Social Worker in Washington DC and New York. She also has significant cross-cultural experience. See her full bio here: http://leadershapeglobal.com/heather-katz. Leadership in India: A Need to Keep Pace with India's Growth Story? Leadership in China: Harnessing Chinese Wisdom for Global Leadership?